Premier League campaigns can often be defined by fine margins. We’ve seen it before, teams winning the league, missing out on European qualification or even being relegated by merely a point – or even goal difference! That will no doubt be a concern for Maurizio Sarri as he gears up for one of the most tightly contested battles for top four there has ever been. Chelsea are at the back of the pack at the time of writing, but it’s all to play for. 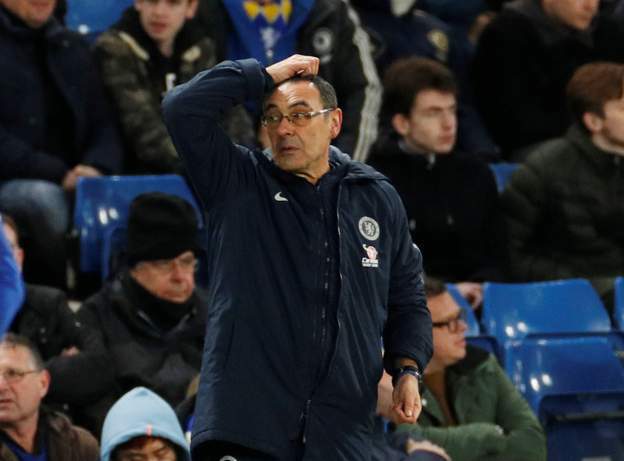 Sarri will have to take a certain degree of responsibility if we are unable to achieve our season’s ambitions, but there are certain things that he cannot account for – one of those being the rotten luck of his players. As shown in stats provided by the Premier League, Chelsea are, by far, the unluckiest team in the league, having hit the woodwork 19 times. Title challengers Liverpool and Man City are joint second with 16. Though the gap between us and those two is small, when you consider that our top four rivals Man United and Arsenal have hit the woodwork just 6 and 7 times respectively, you begin to worry about our poor fortunes. Chelsea need to focus on putting the ball between the sticks, rather than striking them directly, or face a real possibility of missing out on Champions League qualification for the third time in four seasons.